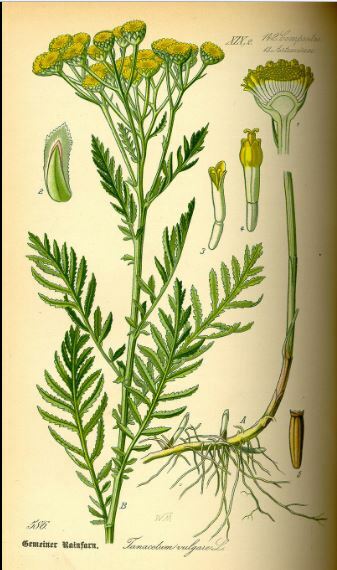 Easter – Norfolk Tales, Myths & More! Author norfolktalesmythsPosted on March 26, 2018 Categories 19th Century, Easter, Georgian, Georgian Period, UncategorizedLeave a comment on A Miscellaneous Georgian Easter! Is it worth mentioning that Easter is both a festival for western Christian religions and a holiday for both those with an ecumenical bent and for those of a more secular disposition? Maybe not for we know that for many it is a win win situation, the best of both worlds as they say. The religious know that Easter is a celebration in honour of the resurrection of Jesus from the dead, as described in the New Testament as having occurred three days after his crucifixion at Calvary. It is also the weekend when children excitedly wait for the Easter bunny to arrive, along with the delivery of their chocolate egg treat. Easter is, as everyone knows, is a ‘movable feast’ which corresponds with the first Sunday following the full moon after the March equinox. It therefore occurs on different dates around the world because western churches use the Gregorian calendar, while eastern churches use the Julian calendar. So where did this ‘movable feast’ begin, and what are the origins of the traditions and customs celebrated on this important day around the world? Christian’s today celebrate Easter Sunday as the resurrection of Jesus. Image source. Most historians, including Biblical scholars, agree that Easter was originally a pagan festival and the word Easter is of Saxon origin, namely, Eastra, the goddess of spring, in whose honour sacrifices were offered at Passover time each year. By the eighth century Anglo–Saxons had adopted the name to designate the celebration of Christ’s resurrection. However, even among those who maintain that Easter has pagan roots, there is some disagreement over which pagan tradition the festival emerged from. Here we will explore some of those perspectives. According to some, the Easter story comes from the Sumerian legend of Damuzi (Tammuz) and his wife Inanna (Ishtar), an epic myth called “The Descent of Inanna” found inscribed on cuneiform clay tablets dating back to 2100 BC. When Tammuz dies, Ishtar is grief–stricken and follows him to the underworld. In the underworld, she enters through seven gates, and her worldly attire is removed. “Naked and bowed low” she is judged, killed, and then hung on display. In her absence, the earth loses its fertility, crops cease to grow and animals stop reproducing. Unless something is done, all life on earth will end. The Descent of Inanna. Image source. The Sumerian goddess Inanna is known outside of Mesopotamia by her Babylonian name, “Ishtar”. In ancient Canaan, Ishtar is known as Astarte, and her counterparts in the Greek and Roman pantheons are known as Aphrodite and Venus. In the 4th Century, when Christians identified the exact site in Jerusalem where the empty tomb of Jesus had been located, they selected the spot where a temple of Aphrodite (Astarte/Ishtar/Inanna) stood. The temple was torn down and the Church of the Holy Sepulchre was built, the holiest church in the Christian world. The story of Inanna and Damuzi is just one of a number of accounts of dying and rising gods that represent the cycle of the seasons and the stars. For example, the resurrection of Egyptian Horus; the story of Mithras, who was worshipped at Springtime; and the tale of Dionysus, resurrected by his grandmother. Among these stories are prevailing themes of fertility, conception, renewal, descent into darkness, and the triumph of light over darkness or good over evil. Eostre, goddess of Spring, otherwise known as Ostara, Austra or Eastre. Celebrated at Spring Equinox on March 21, Ostara marks the day when light is equal to darkness, and will continue to grow. As the bringer of light after a long dark winter, the goddess was often depicted with the hare, an animal that represents the arrival of spring as well as the fertility of the season. The idea of resurrection was ingrained within the celebration of Ostara: “Ostara, Eástre and seems therefore to have been the divinity of the radiant dawn, of up-springing light, a spectacle that brings joy and blessing, whose meaning could be easily adapted by the resurrection-day of the christian’s God. Relief with Phanes, c. 2nd century A.D. Orphic god Phanes emerging from the cosmic egg, surrounded by the zodiac. Image source. In many Christian traditions, the custom of giving eggs at Easter celebrates new life. Christians remember that Jesus, after dying on the cross, rose from the dead, showing that life could win over death. For Christians the egg is a symbol of Jesus’ resurrection, as when they are cracked open, they stand for the empty tomb. Regardless of the very ancient origins of the symbol of the egg, most people agree that nothing symbolises renewal more perfectly than the egg – round, endless, and full of the promise of life. Easter traditionally is a celebration of the resurrection of Jesus Christ three days after his death and is considered to be one of the most important Christian dates in the calendar. In Christianity, the celebration of Easter (or Eastertide) and the giving of Easter eggs symbolises the empty tomb of Jesus, or the stone of the tomb over his cave. Looking further back, Pagans believe that the name ‘Easter’ is derived from ‘Eostre’, the name of the Anglo-Saxon fertility goddess. Eostre’s feast day was held on the first full moon following the vernal equinox, a similar calculation to Easter among Western Christians. On this day, the goddess Eostre is believed by her followers to mate with the solar god, conceiving a child who would be born 9 months later on Yule, the winter solstice. 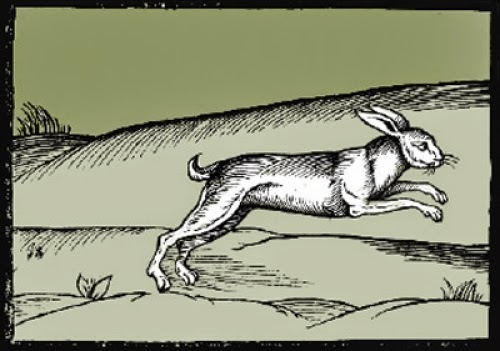 Two of Eostre’s most important symbols were the hare because of its fertility, and the egg, which symbolised new life. Ancient people also reportedly saw a hare in the full moon. The Easter Bunny nowadays carries on the theme, representing fertility and life. From both a Christian and Pagan perspective, eggs in general are a traditional symbol of fertility and rebirth. Easter is preceded by Lent, a period of fasting and penitence in preparation for Easter, which begins on Ash Wednesday and lasts forty days. The week before Easter, known as Holy Week, includes Palm Sunday and also Maundy Thursday, Good Friday and Holy Saturday. Many Christians abstained from eating meat during the Lenten season prior to Easter. Easter was the first chance to enjoy eggs and meat after the long abstinence. Easter celebrations were reported widely in the Victorian press. Here we see The Illustrated London News of 1844 reporting the Pope washing the feet of poor Priests on Maundy Thursday and on Palm Sunday. Easter Sunday – The Pope blessing the people from the portico of St. Peter’s. The Hot Cross Bun is traditionally eaten on Good Friday in the UK, Australia, New Zealand, South Africa and Canada, but is now popular all year round. In many historically Christian countries, buns are traditionally eaten hot or toasted during Lent, beginning with the evening of Shrove Tuesday (the evening before Ash Wednesday) to midday Good Friday, with the ‘cross’ standing as a symbol of the Crucifixion. In English folklore, there are many superstitions regarding this particular bun. Buns baked or served on Good Friday were believed to last through the year, and giving someone a piece of hot cross bun were said to help people recover from illness. Sharing a hot cross bun with someone will ensure a lasting friendship throughout the year, and buns taken on a sea voyage will protect against a shipwreck. Finally, if a hot cross bun is hung in the kitchen, this will protect against fires and ensure all bread turns out in a perfect condition! For many, these beautiful trumpet-shaped white flowers symbolize purity, virtue, innocence, hope and life— the true themes of Easter. The earliest Easter eggs were hen or duck eggs decorated in bright colours with vegetable dye and charcoal. A notation in the household accounts of Edward I of England showed an expenditure of eighteen pence for 450 eggs to be gold-leafed and coloured for Easter gifts. The 17th and 18th centuries saw the manufacture of egg-shaped toys, given as Easter gifts. Germany first made chocolate eggs for Easter in the 19th century. The French closely followed in the new tradition. As techniques for mass-producing chocolate were still some way off, the first chocolate eggs were a painstaking process. Nowadays, 90 million chocolate eggs are sold each year in the UK. Recent statistics show each child receives an average of 8.8 Easter eggs per year! Sales at Easter time make up 10% of UK chocolate sales for the whole year. One of the major businesses behind the development of chocolate Easter Eggs in Britain was Cadbury’s. Cadbury’s was founded almost 200 years ago. The Cadbury family themselves were a fairly affluent family of Quakers from the West Country. John Cadbury opened the first Cadbury shop in Bull Street Birmingham in 1824, selling cocoa and drinking chocolate that he prepared himself. The Cadbury tea, coffee and cocoa business was initially run by the brothers, John and Benjamin Cadbury. Their father was a linen draper as can be found in the comprehensive details in the nonconformist collection on TheGenealogist. The records contain a copy of the index of John Cadbury’s birth record, as well as a certificate for his birth. John Cadbury made his first ‘French eating chocolate’ in 1842, but it was not until 1875 that the first Cadbury Easter eggs were produced, by his sons, Richard and George Cadbury who had taken over the business. The earliest eggs were made with dark chocolate and had a smooth, plain surface. They were filled with sugar-coated drops. Later the Cadbury Easter eggs were decorated and had their plain shells enhanced with chocolate piping and marzipan flowers. The mass production of Easter Eggs was only developed on a larger scale with the invention of a method for making the chocolate flow into moulds. Once this was developed the industry was in a position to market the chocolate Easter Eggs to a mass market. 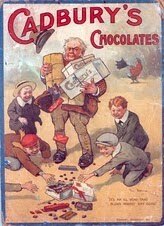 We can find the Cadbury Brothers listed in the Directories collections on TheGenealogist. The 1849 White’s Directory for Birmingham shows the Cadbury Brothers as they build up their tea and coffee business. Here the business features in an advert in The Illustrated London News in 1878. The developments in cocoa and chocolate are documented in great detail!